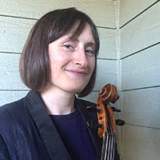 Katherine Baird received a Bachelor’s Degree in Cello Performance from Holy Names College, where she studied with Jennifer Culp, former cellist with the Kronos Quartet (1999-2005). Other teachers have included Margaret Tait, Millie Rosner, Peter Shelton, Peter Wyrick, Stephen Harrison and most recently, Andrew Luchansky. 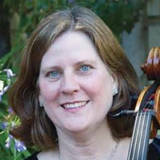 She has taught cello for twenty-five years, as well as classroom music and early childhood music education. She is certified in Orff-Schulwerk training from Mills College (under the tutelage of Doug Goodkin, James Harding and Sofia Lopez-Ibor) and also Levels 1-10 of Suzuki Cello Teacher-Training. She is currently completing a Master of Music Education with a Kodály Emphasis at HNU. During her tenure as Director, Katherine has implemented Suzuki parent education, as well as Kodály-based early childhood/pre-instrumental music, adult musicianship and elementary-middle school level musicianship programs into Preparatory Music. The program currently serves 300 families with private instrumental lessons, group classes, orchestras, and chamber music. Marc Bolander has been a Preparatory Music faculty member for over thirty years. He teaches both Suzuki and Traditional methods for piano, to students aged five to eighty years old. His students have appeared at various recitals, music festivals and concerto competitions. Marc is also a well-known instrumental accompanist. Jeanne Honore started teaching piano in the Holy Names Preparatory Music Department over thirty years ago after finishing her Masters in the Kodály Concept of Music Education and a teaching credential at Holy Names University. She earned a Bachelor of Music from Manhattan School of Music. While maintaining her private piano teaching, she has taught Kodály in many Bay Area schools and currently teaches grades K-8 at School of the Madeleine in Berkeley. Like many of our HNU Prep Music teachers, Moira has enjoyed nearly a 40-year association with the Department. She has found that as the West Coast center of music education, HNU has the most to offer students, teachers and dedicated music educators to develop great versatility. After earning her B.A. in Music Education, Moira became a Special Education teacher for County schools while becoming fully certificated in the Suzuki method. Moira enjoys teaching the oboe from beginning through the college level, as well as piano and recorder at Preparatory Music at HNU. In addition to private lessons, she has taught reed making, theory and ensemble. Moira is also a K-3 vocal music instructor in public schools where she has created a vocal music program based in Kodaly and combining the principles of the Suzuki philosophy. Moira has performed on her oboe and English horn in venues including Davies Symphony Hall; the Taj Mahal; Donald Pippin’s Pocket Opera; and in recording sessions with the rock ensemble “Darker my Love”! Specializing in Baroque performance practices she plays with a variety of Early Music ensembles around the bay. Amy graduated from the National Taiwan Academy of Arts, received a Bachelor of Music from the Peabody Institute of the Johns Hopkins University in Baltimore, Maryland and a Master of Music from the Holy Names University in Oakland, California respectively, in Piano Performance. Her teachers were Walter Hautzig and Bernhard Abramowitsch. 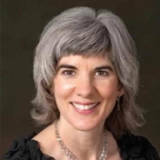 Amy has been a faculty member of the Preparatory Music Department, Holy Names University since 1984. Amy teaches Certificate of Merit program, first established by the Music Teachers’ Association of California State Board of Directors in 1934. Certificate of Merit is a systematic and comprehensive music curriculum to develop performance skills, technique, ear training and sight-reading skills, and understanding of music theory. Amy served on the Music Teachers’ Association of California State Board of Directors from 2007-2015, moving up from Director, Treasurer, 1st Vice-President, and President. Under Amy’s leadership, MTAC registered Certificate of Merit with the United States Patent and Trademark Office in 2014, effectively protected the intellectual property of the MTAC. Amy’s students participate in the annual Certificate of Merit evaluations and Piano Guild auditions. Amy is a Life Member of the MTAC, CM Evaluator, Piano Guild judge and Chairperson for the Bay Area – Oakland Center for the National Guild of Piano Teachers. Chelsea Randall began her music studies at age 5 as a student in the Preparatory Music Department at Holy Names University, and she was trained primarily by the Suzuki Method. She later attended Crowden School of Music, and Holy Names University. She is currently studying music at California State University East Bay, completing a Bachelor’s Degree in Jazz Piano Performance, and a Teaching Credential in Music Education. Chelsea is a frequent performer, having played at many venues including Yoshi’s, the San Francisco Jazz Center, and the Reno Jazz Festival. Chelsea is passionate about teaching, especially using the Suzuki method. She has completed Every Child Can ® and Suzuki Book 1 teacher-training with renowned Suzuki teacher-trainer Caroline Fraser. Due to her familiarity with the method as a former student, and her current training as a Suzuki teacher, Chelsea is a firm believer that every child can learn how to play an instrument with the proper instruction and guidance. Christine Tchii is currently a teacher and accompanist at Preparatory Music at Holy Names University, and an accompanist for the Piedmont East Bay Children’s Choir, Head Royce Middle/High School Children’s Choir and Piedmont Middle/High School A Cappella Choirs. Ms. Tchii was born in California and began her piano studies at the age of three under the instruction of her parents, Kent and Mei-Ling Tchii. She attended The Crowden School of Music in Berkeley, Oakland School for the Arts, and graduated from the San Francisco Conservatory of Music with a Bachelor’s in Piano Performance. Other teachers have included Roy Bogas , Dr. Sharon Mann, and Mack McCray. Her chamber music studies and master classes have included teachers such as Miles Graber, Michel Taddei, Arkadi Serper and Anne Crowden; and Hans Boepple, Frederic Chiu, Doris Harrel, Theresa Dybvig, John McCarthy and Cheng-Zong Yin, Masaaki Yasuda and Shindo Yuko, respectively. 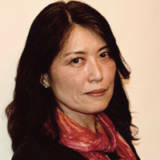 Ms. Tchii has attended numerous Suzuki and music institutes in Colorado, California, Utah and Japan. She attended The Well-Balanced Pianist Program – The Taubman Approach in Colorado (2008). The Taubman Approach focuses on developing physical ease in piano playing. After teaching at Catholic Hsiao-Min Girls Junior & High School in Tai-Chung, Kent served at ROC Marine Corp, transferring to National Defense Department Symphony Orchestra. He later studied with Horst Leichtfried at Conservatory of Music and Drama Arts in Vienna, Austria. Other teachers include Roy Bogas, Ho-Hui Lin, En Wang, Arlene Woehl and Bobby Wong. Kent and Mei-Ling Tchii run the Tchii’s Piano School of Music in Alameda. A member of the Music Teachers’ Association of California (MTAC) Alameda County Branch since 1991, Kent served on the MTAC State Board of Directors from 2005-2013, was Co-President of the Suzuki Music Association of California – Bay Area Piano Branch, and is currently President, MTAC Alameda County Branch. Kent’s philosophy in teaching focuses on student’s performances of solo and ensemble repertoire. Students explore Suzuki and standard classical repertoire as well as Jazz, Ragtime, Blues, and Pop genres. After teaching at Catholic Hsiau-Min Girls’ Junior and Senior High School in Taiwan, Mei-Ling studied briefly in Musashino Academia Musicae in Tokyo, Japan before she moved to Salzburg, Austria, continuing her piano studies with Prof. Igo Koch at Vienna City Conservatory of Music, Austria. Other teachers also include Kanamori Haruna, Ho-Hui Lin, Arlene Woehl and Roy Bogas. 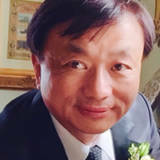 Mei-Ling has over a 25 years’ of experience in piano teaching, encompassing beginning to advanced levels of solo piano and ensemble repertoire. She and Kent Tchii run the Tchii’s Piano School of Music in Alameda. 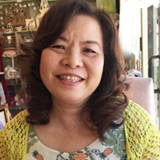 Mei-Ling is a member of Music Teachers’ Association of California, Suzuki Association of Americas, and Suzuki Music Association of California, Bay Area Piano Branch. Mei-Ling speaks fluently in Mandarin, Taiwanese, Japanese and English. Katherine Triest began piano studies at age 5, followed by flute in middle school, subsequently earning an Associate Degree in Flute Performance at the Guildhall School of Music in London, where she studied under William Bennett and participated in master classes with Marcel Moyse and Jean-Pierre Rampal. Upon her return to the Bay Area, she received her B.A. in music at U.C. Berkeley. Katherine developed a full studio of flute students and free-lanced in chamber music and orchestral performances. Finding that she missed the repertoire and all-round musical training of piano study, Katherine returned to teaching and studying piano 20 years ago, and was drawn to the way the Suzuki method fosters young students’ ability in starting by ear. She also appreciates that the Suzuki approach allows her to expect both a beautiful tone and technique and a high degree of musical sophistication and expression even from young students. She has earned her Suzuki Method certification with Caroline Fraser and HNU in Books 1, 2, & 3. Katherine has also participated in workshops in Alexander Technique, Body Mapping and the Taubman Approach (all to do with body mechanics and ease of movement), and Music Mind Games (music theory/reading). Her teachers have included Abe Sherman, Karl Goldstein and Catherine Kautsky, and she has performed in master classes with Robert Schwartz, Mack McCray, Diane Hidy and Gwendolyn Mok. At the Jacob’s School of Music, James was appointed as one of Mimi Zweig’s assistant teachers. Zweig was Joshua Bell’s teacher, and currently directs the String Academy. While at the Jacob’s School, James was invited by Dr. Brena Brenner, associate faculty at the School of Music, and President of the American String Teachers Association, to be her aide in unveiling a program designed to bring world-class music education to public schools within the vicinity of the School of Music. Having worked with both students of financial means as well as with those who struggle to meet their daily physical needs, James has learned that talent does not discriminate. It has become one of his personal missions to discover talent wherever it can be found and raise the next generation of exceptional musicians. James’ students are frequently awarded highest distinction on the ABRSM Exam on both violin and viola, and many currently hold principal chairs in youth orchestras throughout the Bay Area. 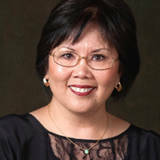 Dorothy Lee is a graduate of Holy Names University and holds a California teaching credential. In addition to teaching violin and viola, she performs with the HNU Orchestra, Oakland Civic Orchestra, and is the violist in the Exeter String Quartet. Dorothy has been a frequent guest clinician at Suzuki Workshops and Institutes throughout the Western United States, including Hawaii and Canada. Her long association with the Preparatory Department began with her mentor, Sr. Therese Cecile Murphy, and eventual studies with Dr. Suzuki in Matsumoto, Japan. Dorothy has served on local Suzuki boards and holds membership in SANC-SMAC, SAA, ASTA, and professional education organizations. She continues her lifelong love of teaching and learning by working with private string students and with her first grade class at Corpus Christi School. A chamber music enthusiast, Dorothy participates in well-established adult workshops at Humboldt State and Scripps College and has enjoyed collaborations with Katherine Baird, Leonora Gillard, Robin Revelli, and Shauna Revelli in CMNC workshops and San Francisco Symphony Community of Music Makers performances at Davies Hall. A native of Davis, CA, Rebecca Reed-Lunn has 16 years of teaching experience and a Bachelor of Music with High Distinction as well as a Performer Diploma from the Indiana University Jacobs School of Music. Her teachers include Alan de Veritch, Yuval Gotlibovich, and Lynne Richburg, and she studied pedagogy with Mimi Zweig and Brenda Brenner of the Indiana University String Academy. Before moving to the Bay Area her previous teaching positions have included viola professor and pre-college violin and viola instructor at Western Kentucky University and Assistant to the Director and violin and viola instructor at Suzuki Maui. Rebecca combines Suzuki with Paul Rolland methods and believes strongly in the Suzuki principle that every child can learn to play at a high level. She supplements Suzuki repertoire, and assigns post-Suzuki repertoire, according to the student’s technical and expressive needs as well as their musical interests. In addition to the Holy Names Preparatory Music Program, Rebecca also teaches for Music Team San Francisco, an El Sistema-modeled program. 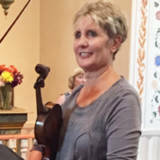 Wendy Reid has been teaching violin and ensemble classes at Holy Names University PMD since 1980, and music composition at Mills College since 1990. She received degrees from Mills College (M.A. ), the University of Southern California, School of Performing Arts (B.M. ), and attended Stanford University, Center for Computer Research in Music and Acoustics. Between 1975-77, she was a private pupil of Nadia Boulanger in Paris and Les Écoles D’Art Americaines at Fontainbleau. 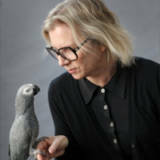 Her music has been performed and broadcast throughout the United States, Europe and Asia by the Abel-Steinberg-Winant Trio, the San Francisco Contemporary Music Players, the Kronos Quartet, the New Music Works Ensemble, the San Francisco String Quartet, Brassiosaurus, theTree Ensemble, Ruffled Feathers, and most recently by herself (violin), Tom Dambly (piccolo trumpet) and Lulu (African Grey Parrot) in the Other Minds 19 Festival at the San Francisco Jazz Center. More about her music can be found at treepieces.net. Robin Revelli is a Suzuki violin teacher with thirty-six years of experience. She has been teaching private, group and string orchestra classes with Holy Names Preparatory Music since 1978. Throughout her years of teaching, a number of her students have participated in Junior Bach Festival, East-Bay Music Festival, BYO, YPSO and OYO, just to name a few. She currently is conductor of the pisi String Orchestra at Holy Names. Robin is a graduate of Holy Names College with a B.A. in Music Education. She currently performs with the Holy Names University Symphony and has also performed with Prometheus Symphony Orchestra and Symphony of the Mountain. Shauna Revelli began formal violin studies at the age of 3 with her mother, Robin Revelli. 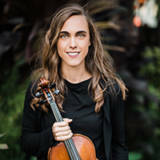 As a young violinist Shauna performed with Berkeley Youth Orchestra and Oakland Youth Orchestra, and as an adult with Cal-Berkeley Summer Orchestra, Oakland Civic Orchestra, and in 2012 performed with members of Exeter String Quartet at the San Francisco Symphony Davies Chamber Music Workshop. Since the 8th grade, Shauna has performed with the Holy Names University Orchestra, where she is currently concertmaster. 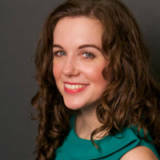 Shauna graduated from Saint Mary’s College in 2004 with a degree in Liberal and Civics Studies. In 2007, Shauna received her Multiple Subject Teaching Credential at Holy Names University, and during a six-year stint as third-grade teacher at Thornhill Elementary School, her desire to share her passion for music with her students motivated her to help create a “Suzuki in the Schools” violin program at Thornhill, where all third graders learned how to play the violin. She currently teaches second grade at Havens Elementary School in Piedmont. Becky Rogot began her musical training at age 6 in Washington DC with William Foster, currently assistant principal violist in the National Symphony Orchestra. She continued her studies with Shinichi Suzuki and Vaclav Adamera as well as Yuka Mori in Matsumoto Japan, earning her Suzuki Method teaching certificate at the Talent Education Institute in both violin and cello. After graduating from Carleton College with her BA in Psychology , Becky extended her cello pedagogical training with teacher training from Barbara Wampner and Tanya Carey completing Suzuki Books 1-10. Her teachers have included Jennifer Culp, the late Peter Shelton, and Amos Yang. Becky plays with the Holy Name’s Orchestra previously under the baton of Dr. Steven Hofer. Becky currently serves on the faculty for Crowden’s Community Music Program, Resurrection Lutheran Church music program and at the Holy Names’ Preparatory Music program, where she teaches both violin and cello to groups and individuals. Her students have performed in chamber groups and orchestras across the Bay Area and beyond and range in age from 3 to 20. Becky is excited to be on the faculty at Preparatory Music where the opportunity to share her music and teaching flourishes with each student. Celia Vollov began teaching the Suzuki Talent Education Method while receiving her B.A. in music from Holy Names University and has continued teaching violin. Although her training is on-going, she received most it by attending classes with Sr. Therese Cecile, John Kendall and William Starr. After receiving a California Credential, she began teaching elementary school. Presently, she teaches language arts in middle school. In addition to teaching, Celia was the President of the Suzuki Association of Northern California for 3 years and the director of the Advanced Suzuki Institute at Stanford for 27 years. Teaching both privately and in the classroom gives her a broad range of experiences and many wonderful children and families to be a part of her life. Julie Michael Violist Julie Michael strives to bring the same spirit of sincerity to the performance of music of all eras. A native of Columbus, Ohio, she can be heard performing with a variety of Bay Area ensembles ranging from sfSound to the San Francisco Chamber Orchestra. As the newest member of Amaranth Quartet, Julie has performed at New Music on the Point, the Banff Centre, and Lake Tahoe Music Festival, juxtaposing music of the past and present. Her passion for new music has led her to collaborate with many composers, to participate in the Montreal Contemporary Music Lab, and to teach a course on contemporary chamber music at McGill University. A Suzuki-trained teacher and a certified Global Leader of the Youth Orchestra of the Americas, Julie has taught at the University of Panama as well as at a number of El Sistema-inspired programs in North America, including Harmony Project San Francisco. Julie holds degrees from the University of Michigan (B.M.) and McGill University (M.M., Graduate Diploma), where her principal teachers were Yizhak Schotten and André Roy. Katherine oversees the Preparatory Music program serves over 300 families with private instrumental lessons, group classes, orchestras, chamber music, an early childhood/pre-instrumental program, and adult musicianship. Poppea Dorsam, B.M. Oberlin Conservatory M.M. Boston University D.M.A. Boston University Poppea Dorsam, cellist, is on the faculties of University of San Francisco and San Francisco Community Music Center. In addition, she is the Piedmont School District cello clinician and runs a private studio in Piedmont. During the summer she teaches at All Things Cello at The Crowden School of Music and directs and teaches the Community Music Center Summer Chamber Music Camp. While a student at Boston University she studied with Michael Reynolds and was a member of the Pi Kappa Lambda Music Honor Society. Her dissertation is on Giovanni Battista Cirri and His Six Virtuoso Cello Sonatas. Her undergraduate studies were completed at Oberlin Conservatory under Andor Toth Jr., where she was his appointed teaching assistant. Dorsam has performed internationally in Germany, Austria and Australia, in addition to concerts throughout the United States. She is a member of the Sacramento Philharmonic and has performed with most Bay Area orchestras including Fresno and Women’s Philharmonic, San Jose, Napa, Monterey, Santa Rosa and Oakland East Bay Symphonies, Pacific Chamber Symphony, Lamplighter’s, Pocket Opera, and Opera Cinnabar. As a chamber musician, Dorsam founded, managed and performs(ed) in the Liberty Street Piano Trio, Clover Heights Ensemble, Fogtown Four Cello Quartet (recorded on Stillwater Sound label), Anne and Poppea Ensemble and Trio Dorado. She has participated in The Classical Music Festival in Austria, Kent Blossom, Apple Hill, Tahoe and Warebrook music festivals in the US. Carlyn Kessler earned her degrees from the Cleveland Institute of Music, where she received her Master of Music in Cello Performance and Suzuki Pedagogy as a student of Sharon Robinson and her Bachelor of Music as a student of Melissa Kraut. She is certified to teach Suzuki cello from Books 1-10. Recently relocated to San Francisco from Cleveland, OH, Carlyn previously served on the faculty of The College of Wooster and the Music Settlement, where she was the Department Head of Strings. In Ohio, she served as principal cellist of the Suburban Symphony and as member of CityMusic Cleveland Chamber Orchestra and Cleveland Opera Theater. Carlyn has performed extensively both internationally and locally. An avid chamber musician, Carlyn has performed in a weeklong residency with the Chamber Music Society of Detroit’s Discovery Series, in venues such as Weill Recital Hall at Carnegie Hall and the Chautauqua Institution, and in numerous alternative settings including popular jazz clubs and art spaces. She has performed at several summer music festivals including the Banff Chamber Music Residency, Chamber Music at Domaine Forget, Toronto Summer Music Festival and the London Master Classes. Javier Trujillo Jurado was born in Lima-Peru. From a very early age he spent time in a recording studio where his father worked as a sound engineer with prominent musicians from all over the country. This exposure to different groups and genres inspired him at age 14 to start playing the guitar and helped shape his skills as a sound engineer and musician. 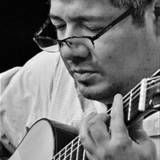 He studied classical guitar at the Conservatory of Music in Lima-Peru and received a full scholarship to pursue his Master’s Degree in Ethnomusicology from the University of California at Berkeley. He acquired his training in the Suzuki Guitar Method by Frank Longay at the Longay Conservatory of Guitar, where he later taught ensemble. He has participated in master classes with Roland Dyens, Paulo Bellinati, Alieksey Vianna, Celso Machado, Marco Pereira, Marco Silva, Felipe Pumarada and David Pinto. Javier has performed all over South America, and has traveled extensively to conduct research on the Andean guitar and for his master’s thesis on the sikuris and pan flutes from around the world. In the Bay Area, he has performed in venues including The Palace of Fine Arts, Brava Theater, Zellerbach Hall, The Berkeley Jazzschool (now the California Jazz Conservatory), and he has also been invited to play with the San Francisco Mandolin Orchestra and the Mandolino Graziosi Chamber Music Ensemble. Jessica Schaeffer lives the adventurous life of a professional freelance harpist in the San Francisco Bay Area. She performs regularly with symphony orchestras, choirs, and theaters throughout the region. Memorable moments from her 20+ year career include performing with the National Symphony Orchestra of Bolivia and regularly collaborating with The Broken Consort, a nationally-touring experimental chamber ensemble, and performing with the newly-formed San Francisco Harp Quartet. Jessica’s other great passion is sharing the power and joy of music-making with people of all ages. 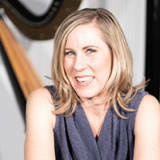 In addition to teaching harp at Holy Names University PMD, she maintains a private studio in the East Bay and is a certified Dalcroze Education instructor. Jessica teaches Dalcroze classes at the Crowden School in Berekely and workshops for groups ranging from choirs to music educators to adults seeking a creative outlet and stress relief. She is coordinator of Bay Area Dalcroze Education (BADE). Originally from the Dayton, Ohio Jessica’s formal education includes Longy School of Music (M.M. & Dalcroze Education Certification), Northwestern University (B.M. ), Aspen Music Festival, Interlochen Center for the Arts. Catherine DeVos graduated with a B.A. in Music Education from the University of Missouri, St. Louis in 1978. Her flute teachers there were Jan Gippo and Jacob Berg. After moving to California she received a Master’s Degree in Flute Performance from the San Francisco Conservatory in 1984, where she studied with Yaada Weber. 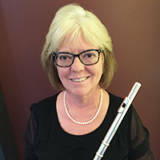 Presently conductor of Da Capo Youth Orchestra, Cathy has been on faculty at Holy Names Preparatory Music teaching private flute for seven years. She has been Instrumental Music Teacher at Piedmont Unified School District since 1981, and is currently director of orchestras for grades 4-12. Since 2009, Cathy also teaches private flute lessons at The Renaissance International School in Oakland. Cathy has been principal flutist in the Holy Names University Orchestra since 1990. Both of her children were involved in Preparatory Music as small children through their senior years in high school: Michael on cello (with Katherine Baird) and Molly on violin (with Robin Revelli). Bachelor of Music, Percussion Performance – Northern Illinois University. Otto has been teaching and performing in the Bay Area for over 15 years. His performance experience covers a broad range of styles that include Jazz, Theater, Gospel, R&B and Caribbean. Mr. Huber currently teaches drums at the HNU Preparatory Music Program as well as his private studio in Alameda. A native of northern California, Abigail Seeterlin (previously Abigail Rowland) discovered her love of music at a young age. She has been singing and playing piano for as long as she can remember, and during middle school and high school she was accepted into numerous regional, state, and national honor choirs through the American Choral Directors Association (ACDA). Abigail earned her Bachelor of Music in Vocal Performance from the San Francisco Conservatory of Music in 2005, and began teaching privately soon after. In 2015 she earned a Master of Music in Vocal Pedagogy from Holy Names University in Oakland, CA, where she studied voice with Eric Howe. Mrs. Seeterlin has performed lead roles in operas and musicals with several community theater companies in Mendocino and Sonoma Counties, including Mendocino Chamber Opera, Gloriana Musical Theater, and Healdsburg’s Raven Players. Her favorite roles include Mabel in The Pirates of Penzance and Cinderella in Into the Woods. Abigail loves teaching because it allows her to share her passion for music with others, and to help them discover and deepen their own musical tastes and style. She teaches many different styles of singing, from opera to pop, and works with students of all ages. Amy served on the Music Teachers’ Association of California State Board of Directors from 2007-2015, moving up from Director, Treasurer, 1st Vice-President, and President. Under Amy’s leadership, MTAC registered Certificate of Meritwith the United States Patent and Trademark Office in 2014, effectively protected the intellectual property of the MTAC. Dr. Miyata is a soloist, chamber musician, teacher, and accompanist. She was a full-time music faculty at St. Mark’s School in Dallas, Texas where her students won prizes at Dallas Music Teacher’s Association competitions. At St. Mark’s she organized and performed in an annual chamber music series, as well as a benefit concert. Dr. Miyata participated in the Summer Festival of Music in Aspen, Colorado, under an accompanying scholarship, where she studied with Gabriel Chodos, and she accompanied string and woodwinds players performing in lessons and Master classes with world-renowned artists. In the Houston International Piano Festival, she played Beethoven’s Hammerklavier Sonata, Op. 106 in a Master Class given by Richard Goode. Currently, Dr. Miyata enjoys both performing in the East Bay as well as her role as chamber music coach at Lick-Wilmerding High School in San Francisco. Michelle Zhang is currently a freshman attending UC Berkeley. She studied the piano under Mei-Ling and Kent Tchii for 12 years. In addition to piano, she also studied violin with Robin Revelli for 12 years. She has participated in and won several Memorial Scholarship Foundations competitions at the Berkeley Piano Club, and has the MTAC Certificate of Merit Convention on multiple occasions. Michelle has been a member of many local youth orchestras such as Berkeley Youth Orchestra, Da Capo Youth orchestra and Youth People’s Symphony Orchestra (YPSO) and has toured with YPSO to Alaska, Central Europe, and the East Coast. Michelle has auditioned in many different events at the HNU Preparatory Music Department, such as the Honors Recitals and the Pops Concert, and has won the PMD Concerto Competition as both a pianist and a violinist. Allegra Yellin grew up in Brooklyn, NY, in a family full of musicians, sometimes on tour with her father, a jazz saxophonist and also singing 3 part harmonies with her Bluegrass-pickin’ uncles. She studied music formally beginning in high school, and later at the Jazz school here in Berkeley and she is currently working towards a Master’s degree in Music Education at Holy Names University in Oakland. Allegra has been teaching music and movement classes for young children and families for the past 15 years with East Bay Music Together. She also teaches various types of classes and private lessons for all ages on guitar, banjo and voice. Outside of the classroom, Allegra has performed and collaborated with many local talents and can be seen performing old time string band music every first Friday of the month with the Squirrelly String Band, at the North Oakland Squaredance. Katherine Baird received a Bachelor’s Degree in Cello Performance from Holy Names College, where she studied with Jennifer Culp, who became cellist with the Kronos Quartet. Other teachers have included Margaret Tait, Peter Shelton, Peter Wyrick , Stephen Harrison and most recently, William Skeen. After earning her Bachelor’s degree she completed all three levels in Orff-Schulwerk training from Mills College (under the tutelage of Doug Goodkin, James Harding and Sofia Lopez-Ibor) and also completed all levels (1-10) of Suzuki Cello Teacher-Training. For the past six years she has been Director of Preparatory Music. In addition to her director’s job, Katherine teaches twenty-five cello students at Preparatory Music and at The Crowden Music Center in Berkeley, CA. 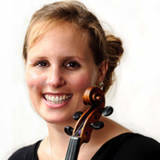 Katherine is cellist with Exeter String Quartet and is Principal Cellist in the Holy Names Orchestra. 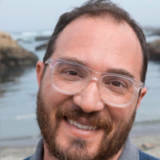 Josh Cohen has been involved with music in and around the San Francisco Bay Area for many years as violinist, bassist, concertmaster, conductor, board member and impresario. At California State University, Hayward (now East Bay), he studied violin with Daniel Kobialka and Nate Rubin, and conducting with Denis DeCoteau. Along with duties as founding Musical Director and Conductor of the Castro Valley Orchestra, Josh teaches privately, produces and performs chamber music concerts, and directs opera and musical theater productions. 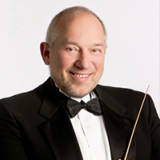 He has performed with many regional groups including the Oakland East Bay Symphony, California Symphony, Oakland Lyric Opera, Holy Names Orchestra, Livermore Valley Opera, Livermore Symphony, San Jose Lyric Theater, Alameda Civic Light Opera, Diablo Valley Opera, Contra Costa Musical Theater, and Trinity Chamber Concerts. He plays occasionally with the Ellis Island Old World Folk Band, and has performed with chamber groups and orchestras in Canada, England, Israel and Australia. Josh has the pleasure of having collaborated with Bay Area composers Jack Curtis Dubowsky and Aaron Blumenthal in the development and performance of orchestral and violin repertoire on projects with Varetski Pass, The Bay Gulls, and San Francisco Balalaika Ensemble in a variety of musical styles. Josh is a principal in Qibits Associates, specializing in computer networking and security projects. He lives in Alameda with his wife Genevieve, who is an emergency manager and flutist. 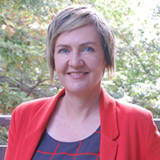 Maree Hennessy holds Masters in Music Studies & Bachelor of Education degrees, and an Australian Kodály Certificate. She is the Director of the Kodály Center at Holy Names University, overseeing and teaching in the Masters in Music Education program. She has extensive experience in teaching and learning music in multi-level contexts across educational sectors, and has worked in Early Childhood, Primary, Secondary and higher education, and community contexts. Maree sees that engaging the very young in experiential music opportunities creates firm foundations for future success in music study. Michael is a conductor, singer, composer, and educator living in the Bay Area. He believes that music is a universal gift possessed by all and his mission is creating community through the ritual of music making. He is currently on the music faculties of Solano Community College (Voice and Music Theory) and San Francisco Boys Chorus, as well as Conductor for the Lesbian/Gay Chorus of San Francisco, Community Presbyterian Church and Melody Choral Singers. YouthPLAYS published his musical adaptation (Diane Grant book/lyrics) of Kenneth Grahame’s Wind in the Willows, which premiered at Theatre Palisades in 2010. Michael holds a Bachelor of Science in Performance Studies from Northwestern University, a Master of Music in Choral Conducting from California State University, Los Angeles, and a Master of Music in Music Education with Kodály emphasis from Holy Names University.